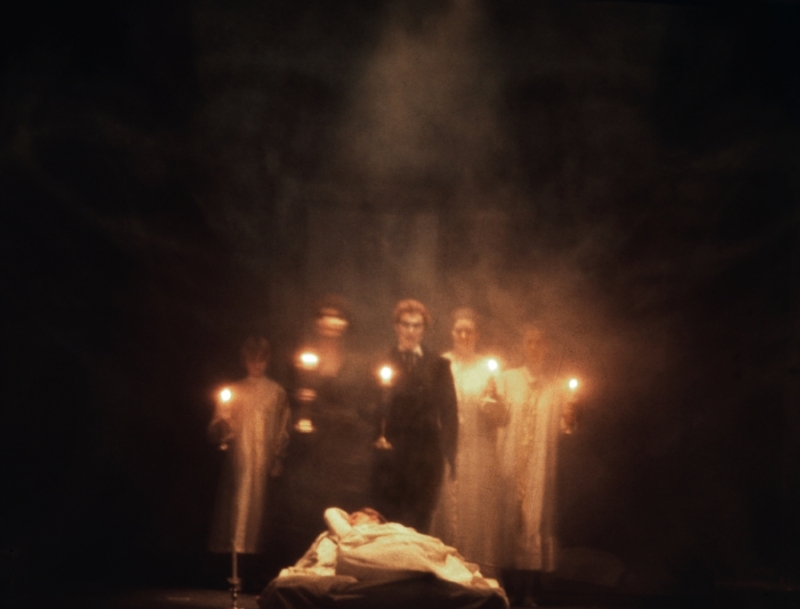 In 1968 Ronald Chase was asked by Richard Pearlman, then head of the Washington Opera, to design a production of Benjamin Britten’s TURN OF THE SCREW. Pearlman had seen a sculpture of Chase’s at the home of the composer Conrad Susa, and felt that he was right to bring innovation to the production. Chase agreed on the condition that he would be allowed to incorporate film and slide projection. Chase used as a springboard the film and sculptural work of the great designer Svoboda. A year earlier Gordon Compton and Emelio Ardelino had used film for the Joffery Ballet’s ASTARTE and were creating a media production with Frank Corsaro for THE MAKROPOLUS CASE at the New York City Opera. 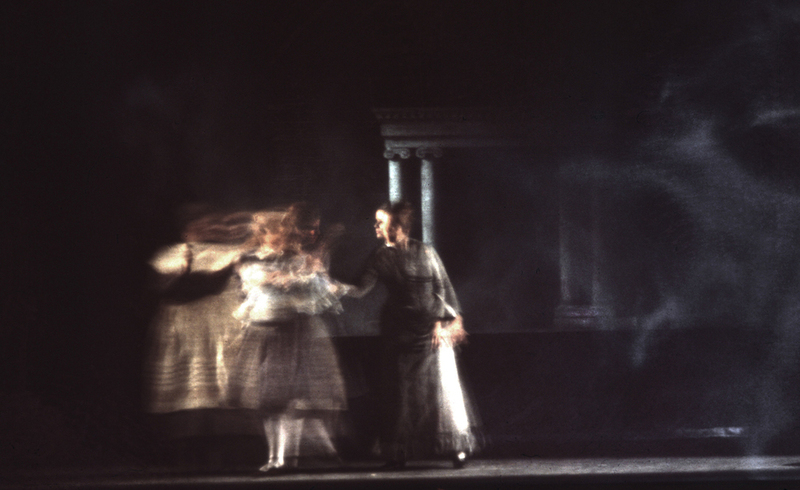 These two productions marked the beginning of development that would bring film and slide projections into the mainstream of opera and theater in the U.S. 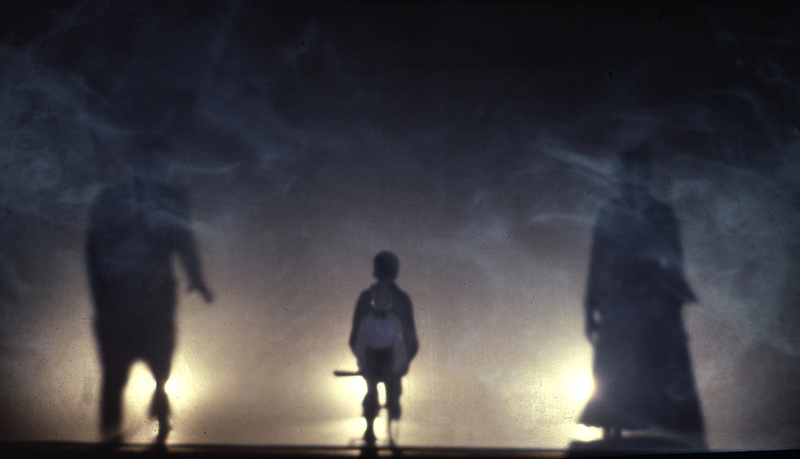 When Chase and Corsaro began work on KOANGA the next year, it began a thirty year collaboration in developing the use of film and projection on stage.